RIO DE JANEIRO, Jan. 27 (Xinhua) -- The death toll from Brazil's collapsed tailings dam climbed to 58, with 305 people still missing in southeast Brazil's Minas Gerais state, said local authorities. Of the 58 victims, 19 have been identified. The missing people include residents of the destroyed area and workers from Brazilian mining company Vale, according to the state fire department. 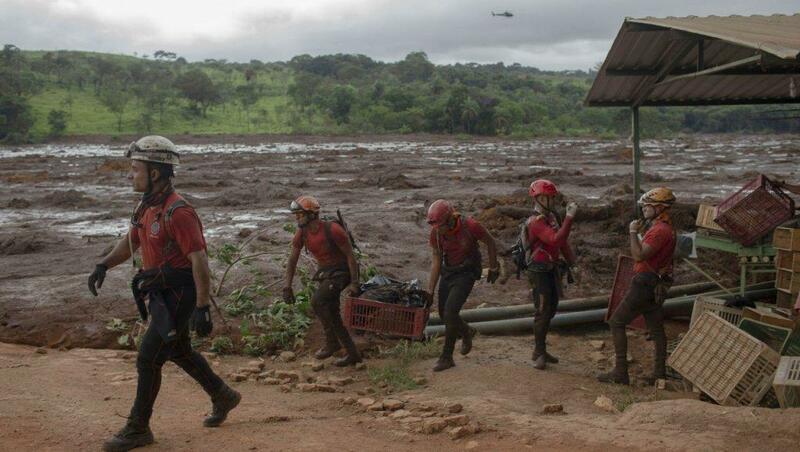 Search and rescue work started early Sunday morning but one and a half hours later, an alarm was activated as there was a risk that another dam of the Corrego do Feijao mine complex, this time a water dam, could rupture as well. Rescue work resumed at 3:00 p.m. (1700 GMT) after the dam was being drained and evacuation was called off after the dam was no longer at risk of bursting. The chances of finding more survivors of Friday's tailings dam disaster "are really slim," Eduardo Angelo, chief of the fire department said on Sunday. However, "we are working with the possibility of finding people alive," he added. During a meeting with residents of the nearby community of Corrego do Feijao, which was flooded by the toxic sludge, Angelo said time was running out. "There is the possibility of finding people alive, yes. However, what has been written about these kinds of events shows that after 48 hours of efforts, the chances of finding survivors are really slim," said Angelo.